Every technical writer has his or her own personal style and work practices. Some writers work well with background music or noise. Others prefer quiet. 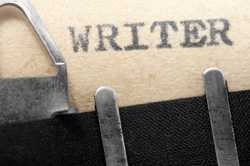 Some writers are able to work for several hours consecutively. Others need frequent breaks. There are, however, many universal tips that can lead to successful technical writing. Writing is a sedentary occupation. Hence, writers are prone to carpal tunnel syndrome, eyestrain, bursitis, and hemorrhoids. Read Ankrum Associates' tips on how to safeguard your health at the computer at http://www.office-ergo.com/setting.htm. Technical writers use the acronym KISS, which stands for "Keep It Short and Simple". Do not craft elaborate prose to impress the reader with your extensive vocabulary. Technical writers usually teach novices. Pitch to the lowest common denominator and aim for a Grade 8 level. Successfully relay your message by keeping it short and simple. Do not make assumptions. Explain everything in your user manual. Use objectives, examples, illustrations, analogies, and case studies. Remember, your goal is to prevent the user from increasing operating costs by calling Customer Service. Admit when you do not know something or have made a mistake. Your documents must be free of errors or the consequences could be extreme. Although you use proper grammar and language structure, and proofread your work before submitting it, your work is reviewed by many people and goes through extensive editing. The technical writer who is willing to take on many different types of projects is likely to succeed. Variety helps the tech writer develop new skills. A varied portfolio demonstrates the writer's ability to adapt to different tasks, work situations, and team settings. Concentrate on trends in your industry of choice and practice your networking skills. However, remain open to work in other industries to safeguard your income. One of the best ways to have a successful career in technical writing is to create S.M.A.R.T. goals. The S.M.A.R.T. acronym stands for specific, measurable, attainable, realistic, and timely. Develop detailed and reasonable plans to achieve your goals. The technical writer should have some topical knowledge, but employers do not expect writers to know as much as an expert. This is why technical writers need help and cooperation from a subject matter expert (SME). The SME is an authority in a specific field or subject. You are the expert in documentation. The SME knows everything about your topic, or can find out missing information quickly. The SME can evaluate your references and tell you if they are credible. The SME knows the top competitors. You know the best design for a document and realize you must explain everything to the new user and leave no gaps. The SME is a crucial resource for a technical writer, especially when the topic is particularly cutting edge or difficult for a layperson to understand. Using an expert improves the quality of your final product and increases the efficiency of product development. Indeed, your work may not be published in some industries without the authorization of a licensed professional. Usually, your client provides you with access to one or more SMEs. Review your draft document and prepare thorough, intelligent questions for the SME. Take the information provided by the SME and translate it into common language. Although the SME is very important, do not allow him or her to govern how the document is structured. Often, SMEs assume the reader has prior knowledge that is completely lacking.